Bridget’s eyes light up when she sees a familiar purple box waiting for her on the kitchen counter after school. She’s been getting the Nerd Block Jr. for girls subscription for the past couple months and always anxiously waits to see what surprises lie inside. To her, they are little treasures and are toys that we can’t buy locally. She thinks they are very special because she is the only one to have them among her friends. The February Nerd Block Jr. shipment did not disappoint! Bridget was introduced to several new toys and actually I was to. Kirby was one of them! Here you can see what was inside the Nerd Block Jr. for girls box. 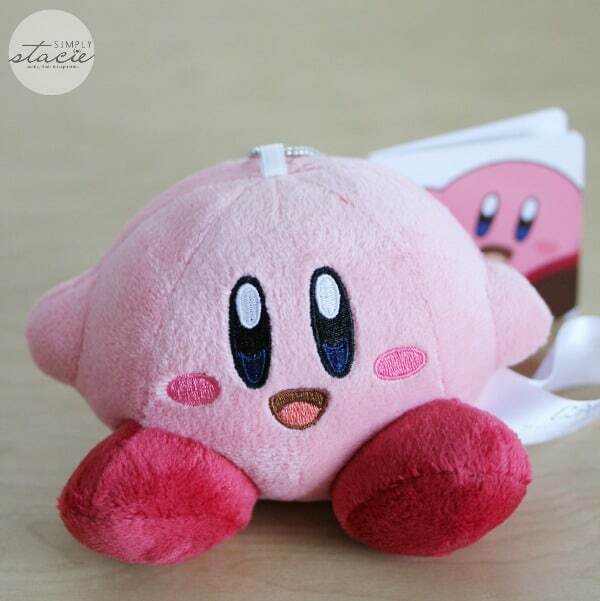 It had a Kirby plush toy, a Frozen figurine, a journal, coloring book and two Nerd Block exclusive items, Cliccors. 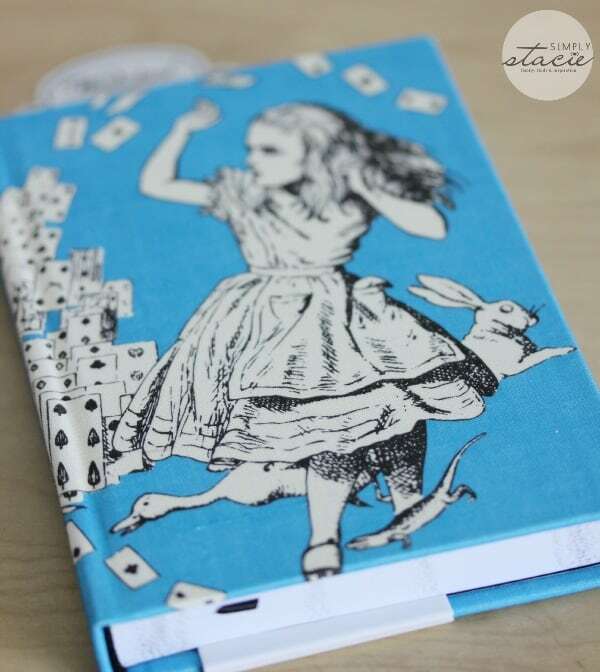 The journal is great for Bridget to doodle in and write her stories! If she wasn’t going to use it, I’d take it for myself. I didn’t know who Kirby was (eek!) so I googled to see. Turns out he has his own line up of Nintendo games and has been around for awhile. 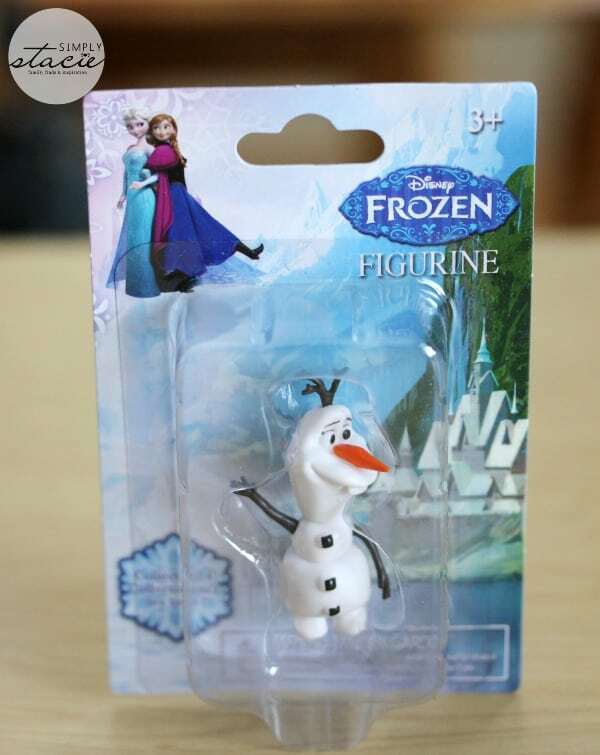 Anything Frozen related is always a hit! Bridget loved the movie. Me, on the other hand, have yet to see it. I know know…. Nerd Block is Canada based, but ships all over the globe. They send out their monthly “blocks” to their subscribers that are filled with hand-picked items by the uber nerds on their team. Takes a nerd to know one I guess! 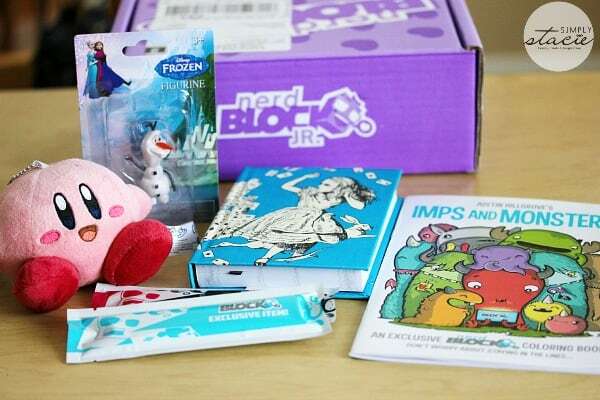 Their Nerd Block Jr. subscription is geared towards children ages 6 to 11 and features one for boys and one for girls. Every month your child will receive different toys and collectibles. It gives kids something to look forward to receiving each month. The Nerd Block Jr. subscriptions ship out on the 15th of every month. There’s still time to buy and have a March Nerd Block Jr. sent to your little one! It makes a great birthday gift as a gift that keeps on giving long after the special day is over. The cost is $13.99 a month and if you pre-pay a few months ahead, you can get a discounted rate. 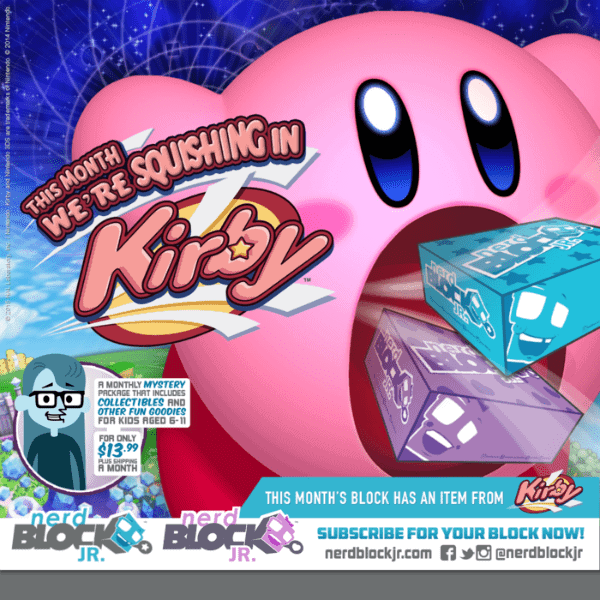 Check out Nerd Block Jr. to learn more and to purchase a subscription! Check out our December and January Nerd Block Jr. posts. I learned that every Nerd Block comes with a custom t-shirt (in your size) and 4-6 epic items for you to tear into! I like how it’s got gaming themed things in it. My kids love Kirby! I learned that they take Mastercard and Visa but not debit cards. I like the fact that they ship items out so fast.